Find out why San Francisco Bay Area Homeowners and Businesses Rely On Bayside Pavers for retaining wall installation! Retaining walls are a common sight around many Bay area homes. 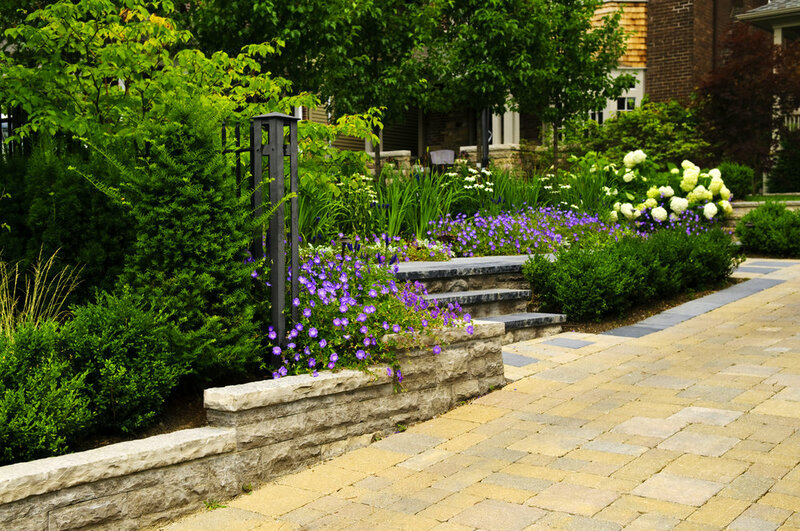 A retaining wall is first and foremost a functional element in your landscape. They are used to terrace slopes to create level areas in your yard or used on a steep vertical, or near vertical slope to keep soil in place. While their first duty is to provide stability and prevent erosion which can damage your expensive landscaping or even your home, They can also be a stunning visual element in your landscape design! Retaining walls are the perfect functional element to help you shape your landscape. Properly constructed, a concrete block, stone, or brick retaining wall can prevent erosion and confine soil safely allowing you to create usable areas in your outdoor environment. There are many considerations that can affect the design and cost of a retaining wall system. Soil make-up, whether it is sandy, or heavy clay, is a significant element that controls both the price and design of your retaining wall system. At Bayside Pavers, we understand and take into consideration all of these elements when designing retaining walls for our clients. Some retaining walls are shorter and designed to hold back small slopes, while others are much larger and must be engineered to keep tons of rock and soil in place. No matter what size you need, we can design the perfect retaining wall to meet your needs. Our walls don't crumble or decompose, are relatively maintenance free, and most importantly, engineered for proper safety! Retaining walls can increase your home’s value. A retaining wall can even increase the value of your home. It provides privacy and is made to appear aesthetically pleasing. They can also help to separate one area of your yard from another. While their main function is definitely to retain soil, retaining walls don’t have to be an unattractive and boring component of your yard. Your retaining wall can coordinate with the rest of your landscape. It can also help to direct your focal point to a certain area of the yard. Although retaining walls are built to do a job, they can still be a pretty part of your yard. Shorter retaining walls sometimes section off gardens, creating a special space for them. Just because a retaining wall is first and foremost a functional element of your landscape design doesn't mean it can't do its job and still look amazing! We build our retaining walls to not only provide safe service but also to be aesthetically pleasing. 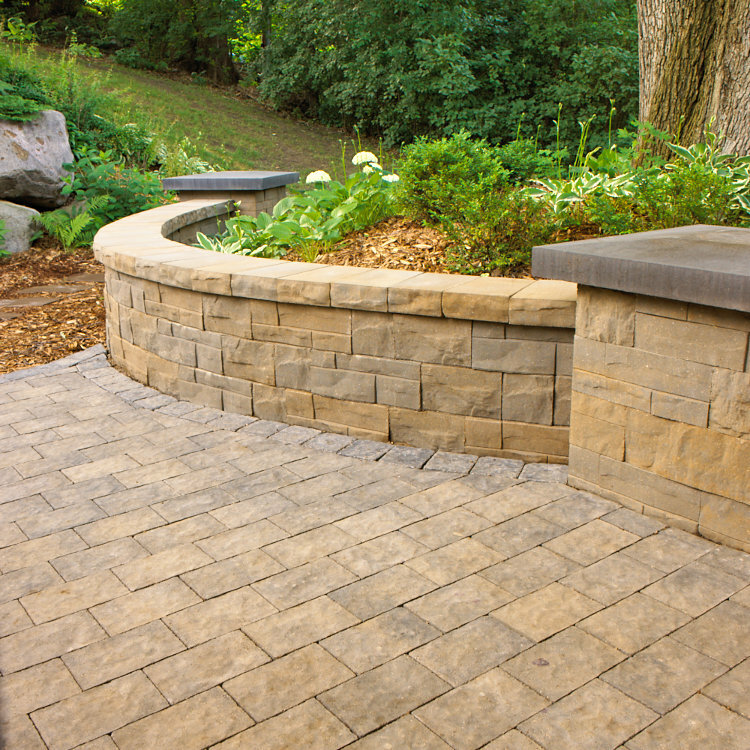 A retaining wall can ensure privacy, and be used to separate different areas of your outdoor living space. While their main job is to retain soil, retaining walls can also be a significant visual element in your landscape design. They can be constructed to coordinate with the rest of your landscaping. A retaining wall can also help direct your visual focal point to a specific area of your yard, like the backyard fire pit, or pool deck. A retaining wall can be a beautiful element of your landscape design. Because retaining walls are constructed of concrete blocks, it's possible to create walls that twist and turn, creating beautiful winding elements throughout your landscape. 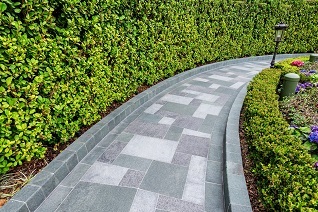 Today, manufacturers offer a variety of blocks that can be used for both retaining and freestanding walls in your design. They come in various sizes, materials, colors, and shapes. Using pre-designed curved blocks, blocks, flats and matching capstones, it's possible to transform your yard into a beautiful, relaxing oasis that can not only help to protect your home from the dangers of erosion but can also be a perfect spot for entertaining family and friends. Here at Bayside Pavers, we carry a wide selection of materials from some of the top manufacturers to help you create your perfect backyard oasis. We can help you design and install safe and beautiful retaining walls to help you define your space and add dimension to your design. If you'd like more information, give us a call at 1-866-287-2837! We're always happy to answer your questions and help you create the backyard of your dreams. If you're in the San Francisco Bay area, and you live in the East or South Bay area, visit our location in Concord, CA at 2455 Bates Ave, Ste K. Our Santa Rosa, CA location at 1619 4th Street Ste 12 can help you with your North Bay hardscaping projects.